Locomobile started producing cars in 1899 with production focused on steam cars. They were one of the leading motorcar manufacturers in the early days but they switched to internal combustion power in 1903. Competition was fierce and in 1922 they were taken over by Durant Motors. Prior to that, in 1911, they introduced the Model 48 – a benchmark model in their history. It lasted through to the end of the company in 1929. It was overbuilt and out of date by 1923 as the model never really had any major updates. But the motorcar was still in its relative infancy and modernity didn’t matter to all customers. The engine is a 95 horsepower 8.6-liter straight-six. The body is the “sports” body offered from Locomobile at the time, the four-door convertible Sportif. This car cost $9,900 when new. All owners have been known from that time. And what is most amazing about this car is that it is a survivor. It has less than 25,000 original miles and won Best in Class at Pebble Beach in the Pre-War Preservation Class in 2002. Since that time it’s won other awards for its remarkable condition. It is expected to bring between $175,000-$225,000. Click here for more info and here for more from RM at Amelia Island. 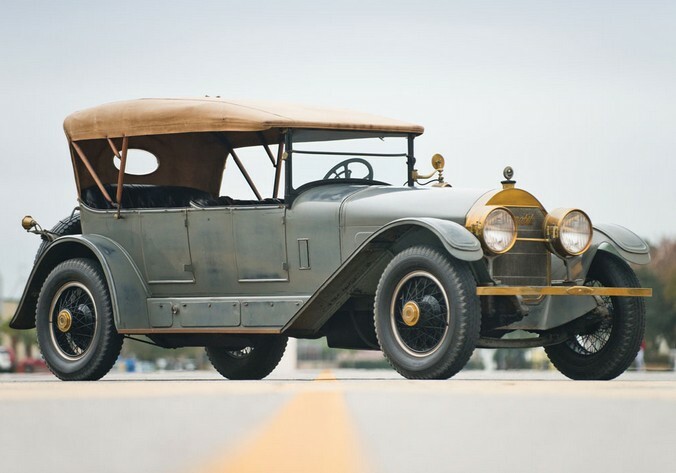 This entry was posted in Uncategorized and tagged 1923, auctions, bridgeport body company, cars, classic cars, locomobile, model 48, rm auctions, series viii, sportif by ClassicCarWeekly. Bookmark the permalink.